Welcome to our social media communities. 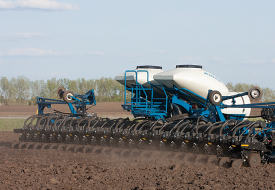 The social media channels hosted by Kinze Manufacturing are forums for those who care about agriculture and farming. 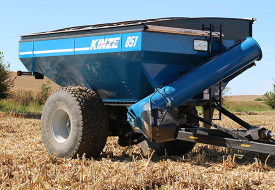 On these pages you will find information on Kinze history, products, innovation, and the agricultural community. The submission is out of context. The submission consists of spam, advertising or is off topic. The submission is false, misleading, defamatory or libelous. The content is disparaging, abusive, offensive, or otherwise in poor taste, including unsupported accusations, personal attacks of any kind, or offensive terms that target a specific ethnicity, race, religion, age or gender. The submission relates to conduct that may violate applicable law or encourage unlawful activity. The submission includes audio, video, photos, or other content that may be the intellectual property of a third party. The submission includes non-public or confidential information. The content is submitted by a person 13 years of age or younger. The submission contains personal information about any person or may violate the privacy or publicity rights of others. 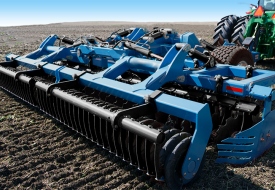 Kinze Manufacturing does not endorse or take responsibility for content posted by third parties, and such content is the opinion of such third party and does not necessarily reflect the opinions or policies of Kinze Manufacturing. 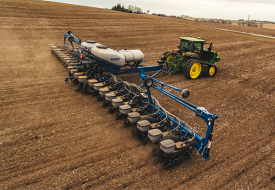 Links shared by Kinze to third party websites do not constitute endorsement. Participants on social media sites understand that these are public forums. Do not post anything on these sites you would not want shared publicly. Remember, once you’ve put information on the Internet, anyone can access it and it can be difficult or impossible to erase. 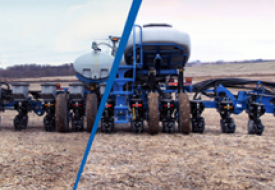 By posting on our channels, you may not state or imply that you are authorized to speak on behalf of or otherwise bind Kinze Manufacturing. You agree that you are responsible for the information and material that you submit, including the legality, reliability, appropriateness, originality, and copyright thereof. You agree that any submission is provided on a non-proprietary and non-confidential basis, and by posting such material, you hereby grant to Kinze Manufacturing a perpetual, worldwide license to use or disseminate your submission for any purpose without restriction. This document is subject to modifications and amendments without notice. Please check back frequently for updates. If you have any questions or concerns, or would like to report a violation of our standards, please contact us at info@kinze.com.